United Ag has four grain handling facilities with a total of 6,373,000 bushel storage capacity. We are a federally licensed warehouse facility and primarily handle corn, grain sorghum, and soybeans. We voluntarily apply under the US Warehouse Act; therefore, we are required to follow specific requirements: such as licensing, auditing, bonding, liquidation, and civil penalties. We are licensed to provide producers protection for deposits of commodities and ensure stability of the warehouse operation. Another added benefit is all employees responsible at the scales are licensed operators. Furthermore, the scales are certified by Bastrop Scale Company, which is licensed by the Texas Department of Agriculture. Since 2011, United Ag has been certified each year by the Office of the Texas State Chemist at One Sample Strategy. 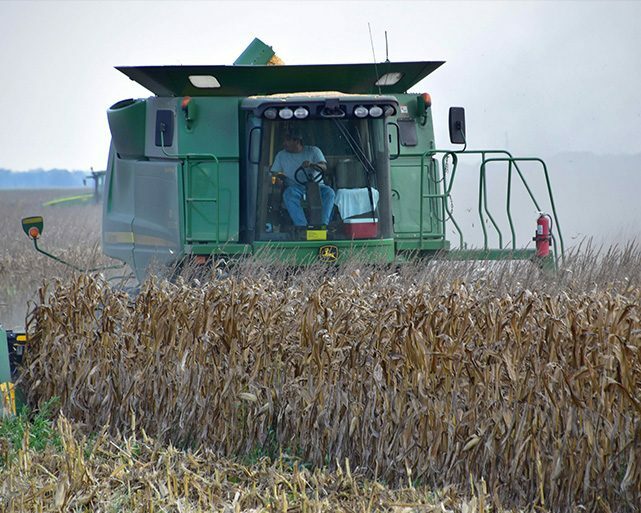 This means that employees have been trained and tested by the Office of the Texas State Chemist inspectors to properly sample and test corn for aflatoxin. All United Ag facilities are equipped with dryers to ensure optimal moisture levels of the grain. El Campo Elevator was originally purchased by El Campo Farmers Co-op in the 1960’s. The current capacity of this facility is 421,000 bushels. Our High Caliber Deer Corn bagging operation was established here in 2015. The land where our Hillje Elevator sits today was once a gin owned by Hillje Farmers League Society. After the merger of Hillje Farmers League Society and El Campo Farmers Cooperative construction began on the grain bins. It is now the largest capacity of the four, handling 3,290,000 bushels. Danevang Elevator was originally built in the 1920's by Danevang Farmers Cooperative Society Inc., the first cooperative in the state of Texas. The current capacity of this facility is 2,233,000 bushels. One million plus of this was built in 2015 in the form of flat storage. Port of Victoria facility was built in 2004 after Hurricane Claudette (2003) destroyed the Farmers Gin of Port Lavaca. This facility has access to UP/BN rail as well as barge freight. 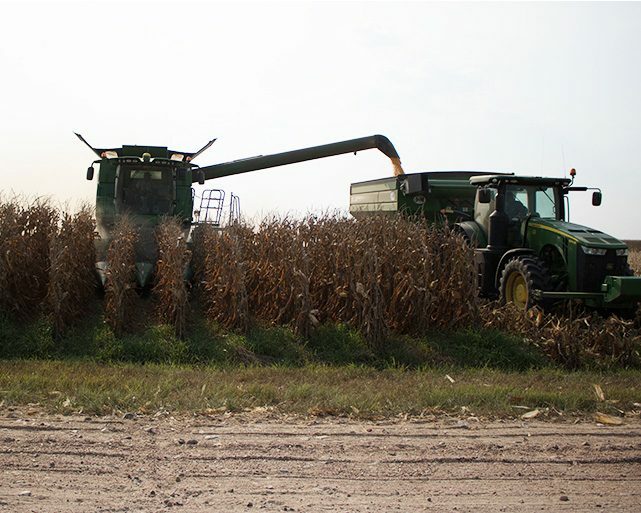 The current capacity is 429,000 bushels. United Ag offers a variety of options when it comes to marketing your grain. The most basic types of contracts are Hedge to Arrives (Futures Only), Basis, and Cash contracts. In addition, minimum price contracts or min-max contracts can be created through the use of options. In 1987, two types of pools were started at the co-op to fit the growing needs and demands of our farmers. These needs include a guaranteed grain storage location, cash flow ease at harvest, marketing assistance for small and large volumes, and ability to capitalize on marketing opportunities. Each pool signs in farm service numbers and contractually obligates acres to be delivered to the co-op. The marketing pool transfers the responsibility to the co-op of both the futures and cash marketing position. However, the producer remains responsible for marketing decisions in the purchase pool. If interested in joining either of these pools, please contact the grain division. Currently in the Marketing Pool, please click here to see the latest marketing pool equity update. Call the grain division for password. United Ag is committed to providing producers with the most information at all times to make the best decisions, in and out of the field. Producers have access to not only watch both futures and cash markets through the website, but also by downloading the United Ag app from the Apple store or Google play. Click here for PDF Instructions. If you just want to spot watch it, United Ag also emails cash bids out as the market warrants in non-harvest times and daily during harvest. Please e-mail lindseyb@unitedag.net to be added to the list. Also, United Ag e-mails tickets as trucks cross the scales after unloading. This service is helpful for monitoring moisture levels, calibrating yield monitors, calculating rough yields, and providing accurate information for marketing while in the field. Loads are available online and in real time. Please click here to find load summary reports. Contracts are mailed when they are originated and available by e-mail. United Ag prides itself on generating easily understood settlement payments in a timely manner. During harvest times, payments are generally processed within 48 hours. United Ag can help with record keeping by paying landlords, harvesters, and field haulers through the settlement process. In addition, we can quickly provide information requested by crop insurance, banks, and the FSA office. 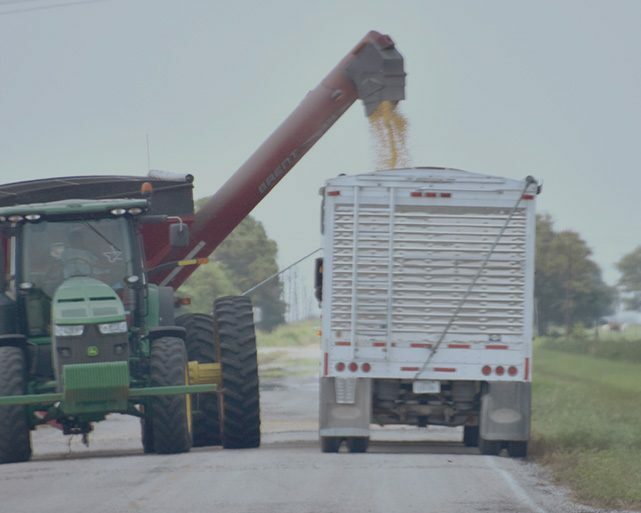 During harvest times, United Ag operates a dispatch system where 3rd party trucks are provided as requested by producers to haul grain from the field to our elevators. These trucks are paid for by United Ag as the haulers request and then deducted at time of settlement. Maps to specific fields can be submitted by the farmer and/or created by the dispatcher to save with the associated FSN in the system in order to increase dispatching efficiency every year.